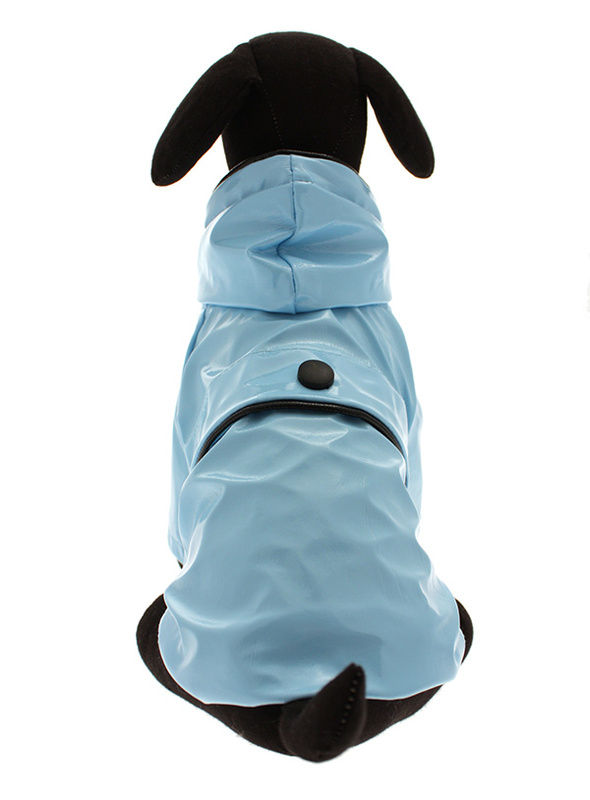 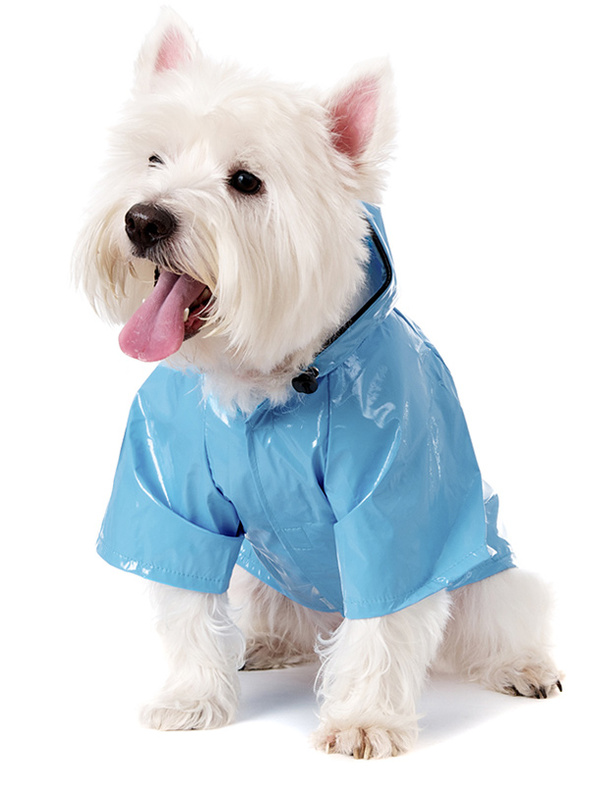 Protect your pup from the rain with this waterproof raincoat. The adjustable draw string hood will keep the raincoat snug to your pup's face, while the soft lining will keep your dog comfortable. 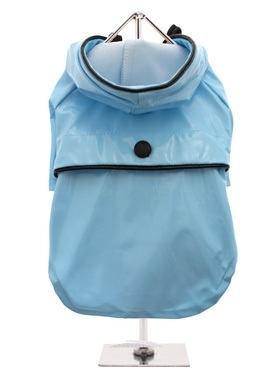 The velcro fastenings make it easy to put on and take off your dog. 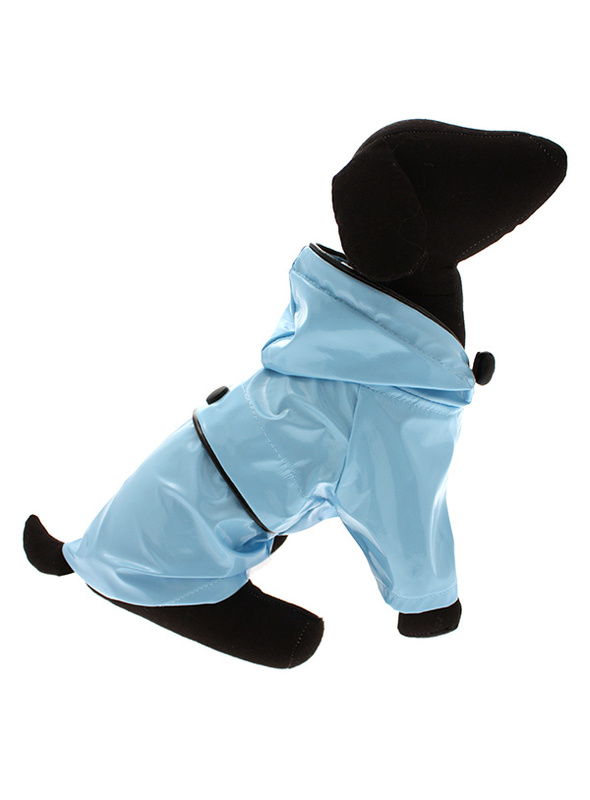 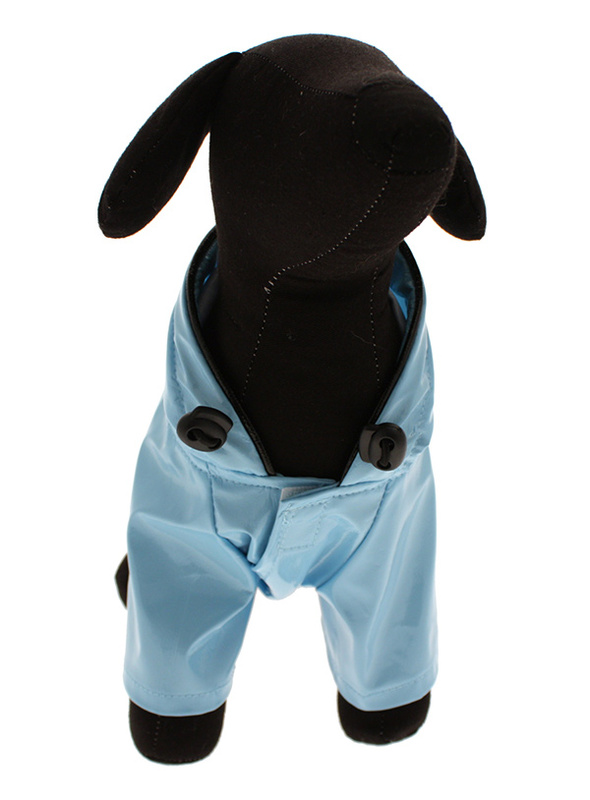 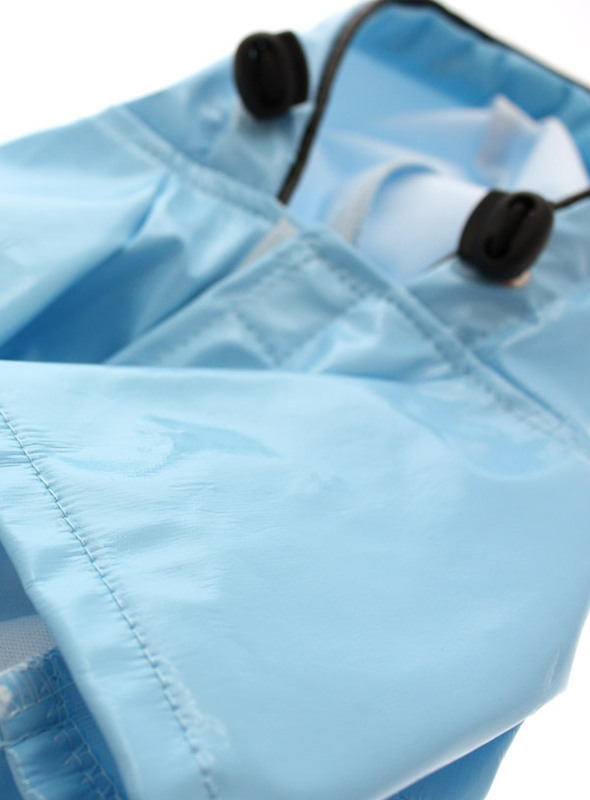 This duck egg blue raincoat is trimmed with black piping and has matching black button and toggles.